Other side benefits include constant levels of (high) energy, and a ‘higher rate’ of thinking, moving and overall enjoying life! The fact that you have landed here means you are on the right path to either improve your quality of life and the way you eat. I’m sure you know one person who is overweight, has heart issues (2150 first time coronary attacks each day in the US; 1 out of 18 deaths is a stroke), high cholesterol (34 Million patients in the US) or type-2 diabetes (4660 new cases a day- 38% of the population pre diabetic and undiagnosed); they are major epidemics in civilized countries. There are also other supremely scary diseases which can be partly fought through this diet. 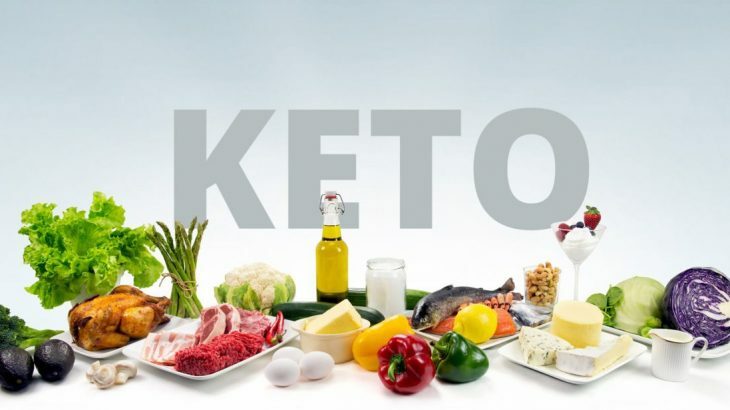 Weight loss and medical improvement are proven results of a low carb diet by many scientific studies and we, in this community, know that it is the right thing to do; even though it is not easy to follow on a day to day basis – a typical Western diet is currently composed of 70% carbohydrates and grocery stores fully reflect that. I hope you will enjoy this little blog and find it useful. 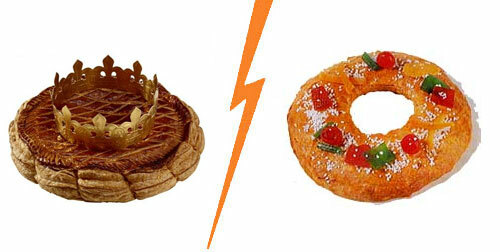 Ask any French person what January’s typical dish is and everyone will tell you it’s the ‘galette des rois’ – king cake. There are mainly 2 versions (one in Southern France, that’s similar to the one in Louisiana and Spain) and one in Northern France and therefore, Paris! That’s my local a galette (every year – no matter what!) In the week I’ve spent in France so far, my family has invited me to eat 3 galettes! I managed to flatly refuse once, then I only ate the filling, and for the third I had to eat it.. Social pressure was too strong! The problem is (obviously, like 90% of French recipes) is that it is full of sugar and flour. The basic recipe is an ‘almond powder-sugar-butter’ filling (called frangipane) placed in between two sheets of puff pastry. I think almond butter filling is a winner, but puff pastry is basically useless (especially taste wise) aside from the delicate melting/crunchy texture. As my birthday was coming up (and it is today!) I decided to prevent the inevitable huge slice of galette that was heading straight for me – and my ‘not keto‘ at all bank – and volunteered to make the galette des rois. It is so widely available at every bakery, supermarket and everywhere else that I don’t think we have ever had a homemade galette in our family…! Obviously I decided to tweak it to try and improve it for my personal taste without ruining it for the rest of my family. I opted to replace this with my trusted ‘universal almond cracker’ recipe, that makes a great base for any pie, tart, etc. (It’s universal, capiche?! ). One layer is enough because it brings a lot of crunchiness compared to puff pastry. So that is the base of my galette sorted and I only need to work on my frangipane now. When the butter is soft (warmer than right out of your fridge), mix everything together manually. DONE! Almonds, we like; eggs, we like; butter, we like a lot. Sugar…. not so much! So I just removed the sugar ! I re-added 15 drops of stevia to bring a modicum of sweetness and off I was. Now I don’t want my family to throw rocks at me and I want them to enjoy what they’re eating. And since they live in sugarland along with everyone else, they need their sweetness, especially in what they expect to be a very sweet desert. BUT I can’t do two different cakes; a small, lowcarb one for me and a regular one for them, that wouldn’t be a very social behaviour, to say the least! My solution therefore was to sprinkle every inch of the cake aside from my slice with sugar! The beauty of food is that your bite gets blended and perfectly mixed together in your mouth as you chew. Hopefully, this will happen and my weird version of frangipane should work for my family – fingers crossed! We could also end up with them choking up on sugar, overwhelming their taste buds and finding it all very disgusting. BOOM, ready for 6 non keto dieters and me! The fève is usually placed in the frangipane before you cover said frangipane with your second sheet of puff pastry. Historically this was an uncooked broadbean (a fève) but now it is generally a little porcelain thingy shaped and decorated to represent … anything; a charm…! There is an infinite number of fèves and thousands of collectors of those things (There’s a word for it: Fabophiles!). The person who has the charm in his slice is the ‘king’ (or ‘queen’) – it is a king’s cake remember – and gets to pick his queen (and crown her with the paper crown sold with the galette – maybe another reason why people don’t make it at home… It is quite a drama when the crown is missing from the pack – Marketing, marketing…! ). Kids almost always get it because they are ‘sent’ under the table and have to pick which slice is for whom – and odds are, that the person who cut the galette bumped into the charm as they were cutting – and obviously give the right slice to the child..! – after reading all this, you are pretty much experts in the French tradition of ‘Galette des Rois’! Anyhow—trial by fire time!— I’ll be back with the (honest) results! So what did my very picky, attached to their traditions’, family thought of my attempt: They liked it! They were startled at first but got over it! I don’t think the sweetness level was enough for them, even with the added sugar. I think this is a good strategy but I really should have weighed my frangipane ball, removed 1/7 and added 6/7 of the prescribed sugar dose to the remaining . That way, people would have had an experience even closer to the real thing (because changing the form is already a big step, so changing the sweetness level was probably not the ideal!). Try it for yourself, enjoy your January, and the rest of the year. Peace! PS: My little niece got the fève!